Kathy Khatib has written a book titled “Child of the Third Millennium,” which is awaiting publication. 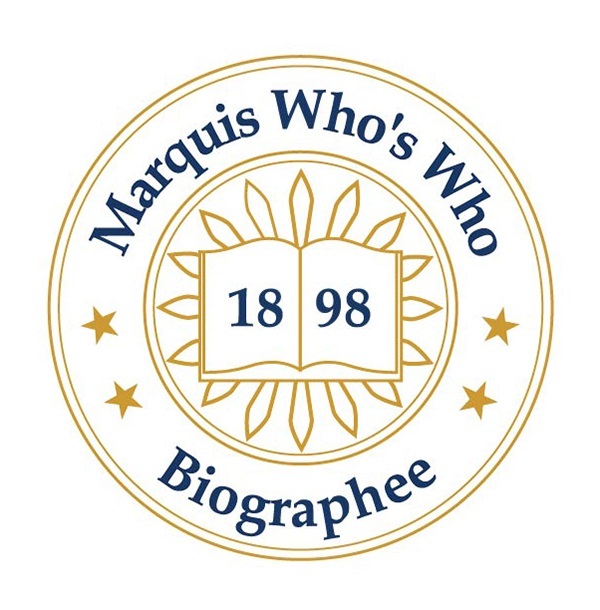 NAPLES, FL, September 24, 2018 — Marquis Who's Who, the world's premier publisher of biographical profiles, is proud to present Ms. Khatib with the Albert Nelson Marquis Lifetime Achievement Award. An accomplished listee, Ms. Khatib celebrates many years' experience in her professional network, and has been noted for achievements, leadership qualities, and the credentials and successes she has accrued in her field. As in all Marquis Who's Who biographical volumes, individuals profiled are selected on the basis of current reference value. Factors such as position, noteworthy accomplishments, visibility, and prominence in a field are all taken into account during the selection process. For nearly 50 years, Ms. Khatib has dedicated herself to the field of education. Currently, she works as the director and lead teacher at The Garden School in Naples, FL, which she founded in 2017. The Montessori Method is a form of education focused on the idea that students learn best when their environment supports their natural yearning for knowledge. Inspired by this approach, Ms. Khatib made it her mission to learn more about this style of education. Ms. Khatib earned her Bachelor of Arts in American literature, history, and art history from the University of Illinois in 1968. She worked as a special education teacher at Southwest School in Chicago from 1968 to 1970 and at Arc School in Madison, WI, from 1970. Following these positions, Ms. Khatib studied at Association Montessori Internationale, in Perugia, Italy, obtaining her diploma in 1973. After immersing herself in the Montessori Method of education, Ms. Khatib remained in Perugia for several years, working as an assistant teacher trainer at Centro International Montessori from 1973 to 1977. Upon returning to the U.S., she was a teacher at Alexander Montessori School in Miami from 1978 to 1979. Ms. Khatib held the roles of administrator and head teacher at Johnstown Montessori School in Pennsylvania from 1979 to 1982 and at the Community Montessori School in Glasgow, KY, from 1985 to 2004. Following her experience teaching at various Montessori schools, Ms. Khatib knew that she wanted to open a new Montessori school of her own. The Garden School welcomes students from ages 2 to 6 years old, currently holding 33 children and employing three teachers. A testament to her dedication to teaching in accordance with the Montessori Method, Ms. Khatib is a member of organizations dedicated to this effective style of education. She holds membership with the International Montessori Council, the American Montessori Society and the Association Montessori Internationale. Ms. Khatib remains inspired by the late Maria Montessori, the Italian physician and educator who originated the Montessori Method. In addition to operating The Garden School, Ms. Khatib speaks and presents within the field of education. She has discussed and presented on her experience as a Montessori educator. Ms. Khatib has written a book titled “Child of the Third Millennium,” which is awaiting publication. In recognition of outstanding contributions to her profession and the Marquis Who's Who community, Ms. Khatib has been featured on the Albert Nelson Marquis Lifetime Achievement website. Please visit www.ltachievers.com for more information about this honor.